I try to clean my face with a proper cleanser and water when I can, because I get the feeling it's more eco-friendly than a disposable product and most likely gives a better clean. 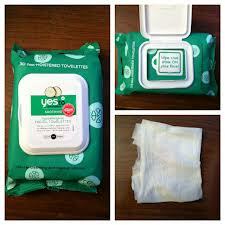 However, these wipes have restored my faith facial wipes and I have added them to my bedtime routine. They have aloe, green tea and cucumber extracts in them and do not leave my combination oily/dry skin feeling dried out or oily. 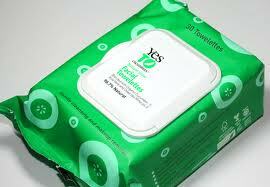 My favorite part about these Yes to Cucumber Facial Wipes is that they have a cooling effect- not an intense cooling like something with menthol, just a pleasant cool feeling like putting a wet washcloth on your forehead. Because of this, I use these wipes right after coming in the door from a long day at work and school, instead of waiting until bedtime. I am on approximately wipe 28 and they are just as moist at the end of the package, which is quite the feat for this type of packaging (I believe Neutrogena packages theirs in a similar type of package, but I ALWAYS had problems with those wipe drying out). Happy to have discovered this product!. They are wonderful on the nights when I don't think about washing my face until I'm completely exhausted and the thought of splashing water on my face is almost as repulsive as the thought of getting makeup on my pillow. 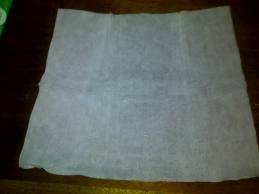 The scent is nice, and in my opinion, not too strong, and the cloths are a nice size, so I never have to use more than one. I don't wear a whole lot of makeup, and eye makeup the least often of all, so I'm not entirely sure how thorough these with deep-cleaning and hard-to-remove stuff, but they work well enough for me. Best of all, they don't leave any feeling of residue afterwards, and they leave me feeling clean and refreshed before bed. I also adore the double-seal on the packet, with a sticky tab and a little plastic door. This definitely helps me get over my disposable product guilt, with my excuse that I don't use them all the time, and they don't dry out, so I don't have to be in a hurry to use them all! Organic Cucumbers are mildly astringent, yet soothing and can help reduce puffiness of the skin. Cucumber also aids in removing dead skin cells. Aloe Vera is a highly effective, naturally gentle moisturizer that is known to refresh and sooth skin. Green Tea is a natural antioxidant and astringent, and is effective in treating troubled skin and breakouts. Thanks I love your reviews!!!! !